What is protein methylation and where is it found? What enzymes are responsible? Also, what is its function? We are addressing these questions with proteomics, mass spectrometry and two-hybrid-based techniques to build intracellular methylproteome networks. We have developed the PTM Oracle, a cytoscape application for the integrative analysis of protein interaction networks and post-translational modifications. We can now visualise, query, create new hypotheses and explore where post-translational modifications (PTMs) are co-located on proteins to understand the role of PTMs in protein-protein interactions and the protein interaction code. We are assembling the koala genome from long read data, and also by hybrid assemblies. This is a collaborative project with the Australian Museum, University of Sydney and University of Sunshine Coast. 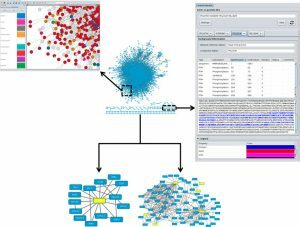 PTMOracle is a Cytoscape App for the visualisation and co-analysis of protein interaction networks, protein post-translational modifications and protein structure data. For more details, click here.